James Smith Funeral Directors in Swanage has a new team in place to take it in to the future. Malcolm Green is now managing the business that began life in 1892 and has been serving the town ever since. It has been part of Dorset’s Douch Family Funeral Directors since the 1960s, but very much retains its own identity. The team directs nearly 200 funerals a year mainly in Swanage and across the Purbecks, but further afield too. James Smith also provides the increasingly popular Dorset Funeral Plan, which is sold across the county by the Douch Family Funeral Directors. The plan was launched in 1999 and allows people to organise and pay for their own funerals, saving money and removing stress from relatives. 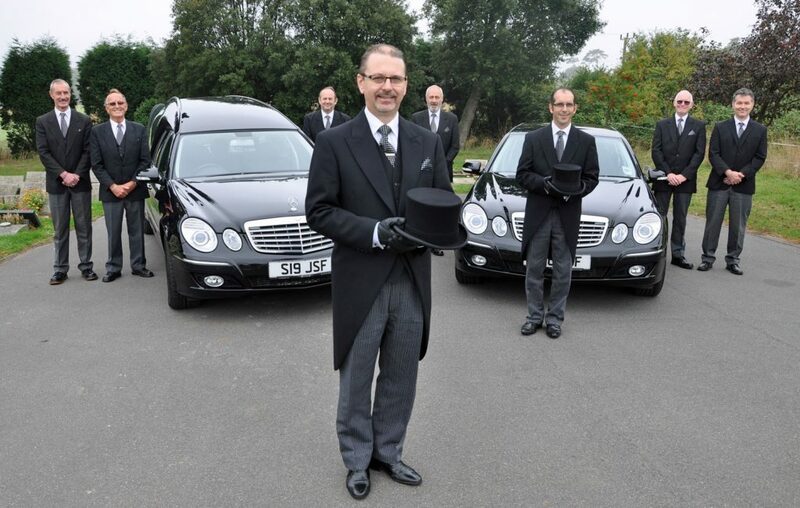 Malcolm is assisted at the Kings Road base by Derek Trotter, a funeral director, and funeral operative Mark Chadderton, as well as five, highly-experienced driver-bearers. The new team’s development has coincided with the opening of the Godlingston Meadowlands Natural Burial Ground. Malcolm said: “James Smith has a tradition of serving the local community with a family business and that is what we want to continue. “The new team has come about after retirements and we aim to keep to the high standards set by our predecessors over the last 113 years. “We provide all the traditional services, but we are also doing more burials at the Godlingston Meadowlands Natural Burial Ground, which is quite new and a really good amenity for Swanage.